Short Order Production House is a full-scale commercial film agency based in Wilmington, Delaware. Previously known as the Kitchen, Short Order has an impressive portfolio of large clients and successful video projects. They had outgrown their previous logo and desired to reinvent themselves with a creative and vibrant new brand. 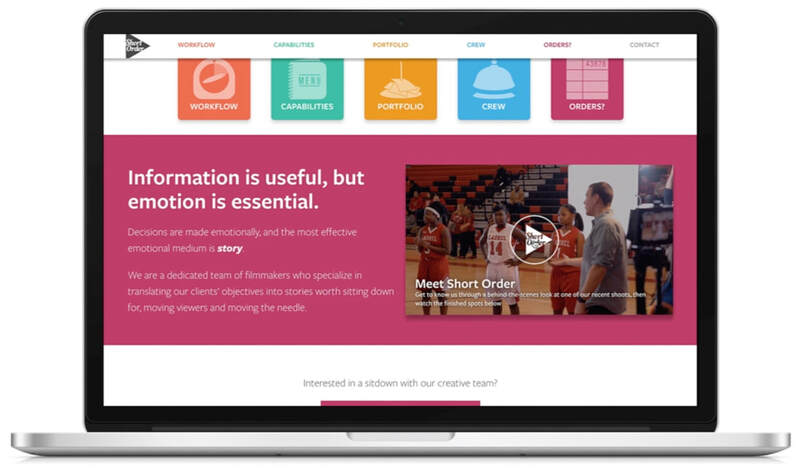 PROSPER helped design a new logo and website where Short Order could proudly showcase their video work.